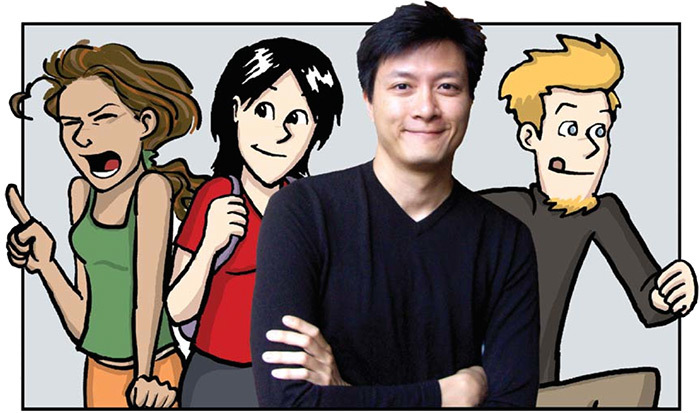 The creator of PHD Comics, Jorge Cham, and particle physicist Daniel Whiteson will present a public lecture at the University of Houston on Saturday, February 24, at 11 am. In a talk titled, “We Have No Idea,” Cham and Whiteson will discuss the big mysteries of the universe. 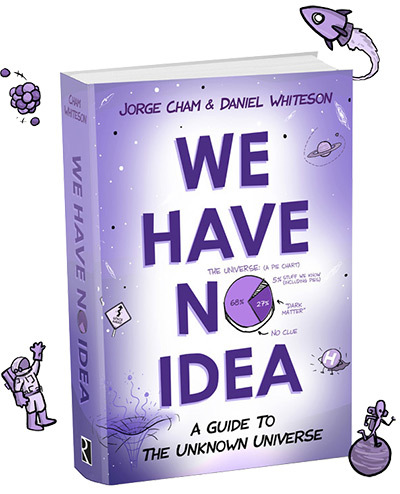 A fun presentation that combines science, humor, and live drawing, inspired by Cham and Whiteson’s new book, “We Have No Idea: A Guide to the Unknown Universe." This event is organized by the UH Department of Physics and sponsored by the UH CPH Lecture Series. Parking is available in the visitor's section of the Stadium Parking Garage, located on Holman Street, near the corner of Cullen Blvd and Holman Street. The weekend parking fee is $5. The garage is across Cullen Blvd from the meeting location. Humanity’s understanding of the physical world is full of gaps. Not tiny little gaps you can safely ignore —there are huge yawning voids in our basic notions of how the world works. PHD Comics creator Jorge Cham and particle physicist Daniel Whiteson team up to explore everything we don’t know about the universe: the enormous holes in our knowledge of the cosmos. Why does the universe have a speed limit? Why aren’t we all made of antimatter? What (or who) is attacking Earth with tiny, superfast particles? What is dark matter, and why does it keep ignoring us?